0.4905 and 0.4920 in. (12.46 and 12.50 mm). Should measurements be out of tolerance, replace engine block (4). 0.0015 in. 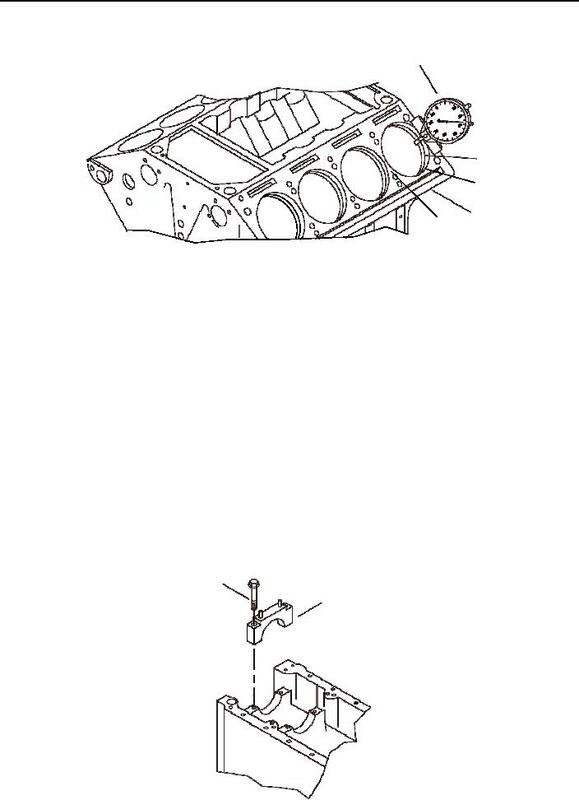 (0.04 mm), replace engine block (4). the caps are firmly seated and the bearings are removed.